Whether you plan to go camping, send your child to a sleepover party, or travel to a faraway country, it is absolutely necessary to invest in the right equipment. Choosing the right sleeping bag is not easy since there are endless options. 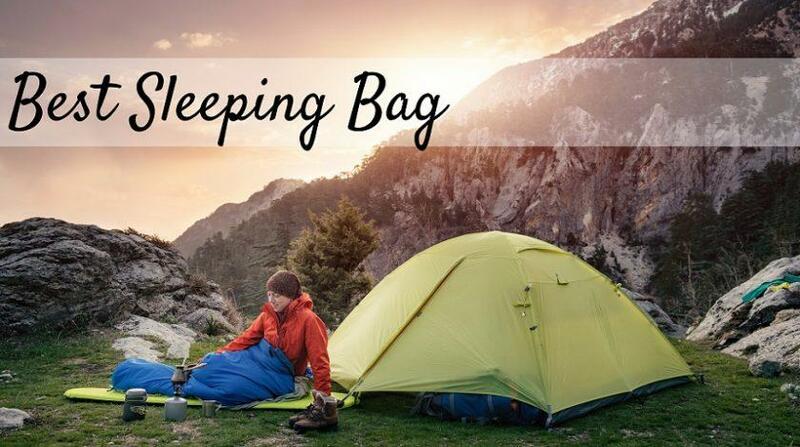 We’ve narrowed down the top sleeping bags so that you can easily choose which is most suitable for your needs. Built-in storage pocket for phone, keys, wallet, etc. Storage compartment for phone, keys, wallet, etc. Moisture Resistance and Weather Expectations: At the very least, you want a sleeping bag that won’t soak up any type of moisture. In the snow for example, there is a greater chance of freezing if you introduce extremely low temperatures with a damp sleeping bag. 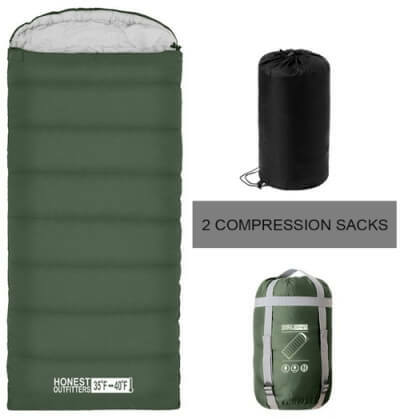 Heavy duty sleeping bags have what’s known as a “temperature rating,” which will essentially be the degree to which your bag will keep you warm. For example, a sleeping bag with a rating of 15 will keep you warm until the temperature drops below 15 degrees Fahrenheit. You should purchase a bag that is rated 5 to 10 degrees warmer than the weather expectations you have for your travel, location just to be on the safe side. You can always unzip your bag if you get too warm, but you may not have extra layers if you get too cold. Material: Like many products, as the price of the item goes up, so does the quality. Sleeping bags made with real down are longer lasting, lighter to carry, and are much warmer than synthetic bag stuffing. However, unlike a synthetic bag, you’ll have more difficulty keeping down clean and cared for. Look for the density level when purchasing a down bag; the higher the density the better the quality. Flannel, polyester, and cotton seem to be the preferred item among hikers and backpackers. These materials are soft to the touch, and don’t create an itching sensation the same way that some synthetic types do. Will It Be Comfortable for Your Personal and Environmental Needs: If you plan on hiking through Alaska you’ll want a bag that is tight and form-fitting; these will generally come in a mummy shape and are ideal for colder regions. If your environment is going to be populated by small creatures like mosquitos, spiders, or small reptiles, the mummy bag will help to keep them out while you’re asleep. On the contrary, if you’re a light sleeper who tends to shift positions several times throughout the night, try a square or rectangular shaped bag if you need more room to move around. Check the dimensions of your sleeping bag, if you’re taller or have a bigger build, you may want to go up one size. How Versatile Is the Zipper: If you’re in an area that is slightly warmer than expected, will you want to open the bag up and use it as a blanket instead? If so, make sure you get a sleeping bag that unzips all the way around rather than one that does not open at the feet. You should also keep in mind that it is extremely important to test the zipper of any product, it is normal for items that are shipped through online retailers to occasionally have defects or damage. Make sure that your zipper is completely functional before taking your sleeping bag out for a hike. Does the Weight Matter For This Particular Trip? If you plan on driving a truck to a campsite and unloading your things before you go out to explore, the weight of your sleeping bag probably won’t matter to you. However, no one wants to hike 10 to 15 miles out into the wilderness with 5 pounds of sleeping gear on top of everything else. If you plan to go nomad for a while, get something that weighs 3 pounds or less and is easily compressible. Consider trying out the sleeping bags listed below, they’re top quality, and top rated among hundreds of users! With a waterproof outer layer made of 210T polyester, and a hood with cinch strings to keep your head dry, this sleeping bag is fitting for the rain and the snow. The shape for this product is rectangular and the dimensions are 7in by 13in by 8in. The ABCO Sport was specially made for those who enjoy long treks through the mountains and extreme weather. With an impressive rating of 20 degrees Fahrenheit your sleeping bag will most definitely keep your warm in the cold weather, and won’t overheat if the temperature starts to rise. This product also comes with compressible carrier for convenience, just pack, press, and go. Those who have ordered this product agree that it does the job; this sleeping bag will keep you warm and protect you from the elements. However, some customers have mentioned that the zipper comes loose or completely unzipped throughout the night. Hold onto your original packaging, and the retailer from which you purchased it may be able to return or exchange your item for one with a zipper that is not defective. Both affordable and guaranteed to keep you warm, the Sports Celsius XXL Sleeping Bag is ideal for those who prefer the “road less travelled.” With a creative design for the harsh climates, this product has a “mummy” style hood with dimensions of 96in by 36in that also allow for plenty of to stretch out your legs. If you happen to get too warm in the evening, no problem; this sleeping bag allows you to unzip both sides to allow for ventilation. The best part? The Sports Celsius XXL doesn’t require any rolling up; this product is designed to be easily compressible and comes with a customized container that you can easily stuff your bag into. Customers who purchased this bag between 2014 and 2017 have commented that the zipper was faulty and came off track. However, this problem may have already been corrected by the company. Overall, customers were satisfied with the size, warmth, and the ease in with which they were able to compress and store their sleeping bag. The Teton Sports Celsius XXL is light, durable, and sold at a great price. 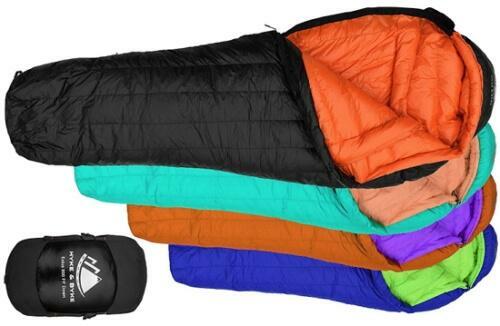 This sleeping bag is made from 100% polyester material and is machine washable. 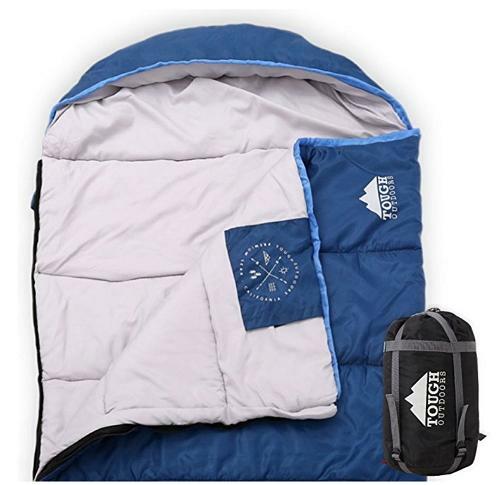 Dimensions for this sleeping bag are 75in by 33in by 4 in, and is rectangular in shape; you can find other shapes for this brand on Amazon as well. As an added feature, this products also includes cords for rolling up and securing your sleeping bag when it’s time to get back on the road. The zipper has a guide attached that will prevent snagging and keep your bag closed and insulated throughout the night. At a rating of 20 to 40 degrees Fahrenheit this product can be used for cold evenings while out camping, but is not appropriate for freezing temperatures. You’ll never need a pillow because the Coleman Brazos sleeping bag has a built “comfort cuff” to lay your head on so you can sleep comfortably, and carry less luggage. Some customers have said the inside material is too rough, or feels as though their clothing is being snagged on the material throughout the night. While you won’t be hiking the Swiss Alps with this sleeping bag, it’s great for a short vacation out in nature. Ideal for anyone who loves to go kayaking or hang out at the lake, this product is a dream come true for those who spend a lot of time near the water. Even in the rain, this sleeping bag will ensure that you stay warm and dry. The Honest Outfitters sleeping bag has year-round capabilities and a polyester waterproof lining that still holds in warmth. You’ll also enjoy the draw strings attached to the hood for added protection. This sleeping bag comes with 2 extra bags for free! One for compressing and storing your sleeping bag away, and the other for your travelling gear. With measurements of 87in, by 32in, by 4in and a weight of 3 pounds, this bag should be light and easy to carry. 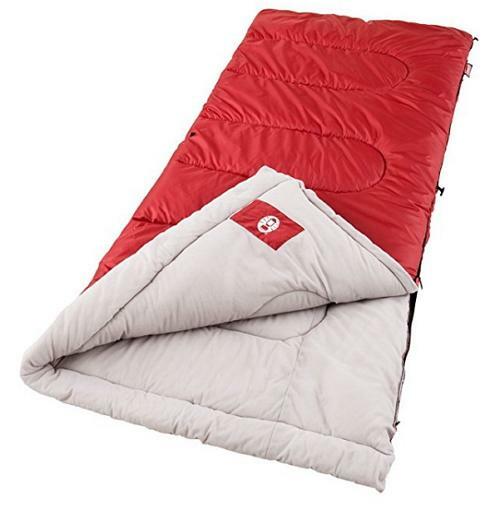 This sleeping bag is rated between 35 and 40 degrees Fahrenheit, and so far customers are satisfied with the warmth it provides. This particular bag was a popular sale for the Coachella festival in Arizona; it was perfect for camping out in the evenings. The Honest Outfitters Company also provides sleeping bags in other dimensions and varieties. The X-Cheng Sleeping bag is one of the highest rated among Amazon users, over 99% of consumers approve! The soft, warm flannel lining won’t give you the same scratchy sensation that polyester sleeping bags tend to have. 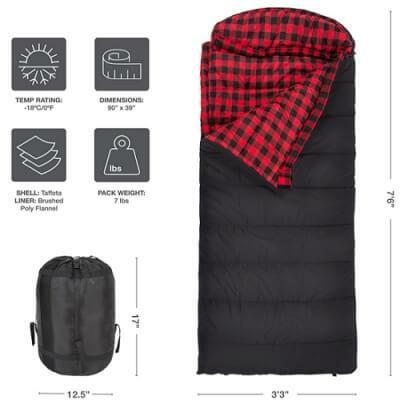 The simple, rectangular shape of this sleeping bag has dimensions of 85in by 30in and only weighs about 5.6 pounds. It may not be designed for extreme weather, but you can take it with you while travelling to new camp grounds or attending outdoor events. Your X-Cheng should keep you warm in temperatures from 32 degrees to 0 degrees Fahrenheit. 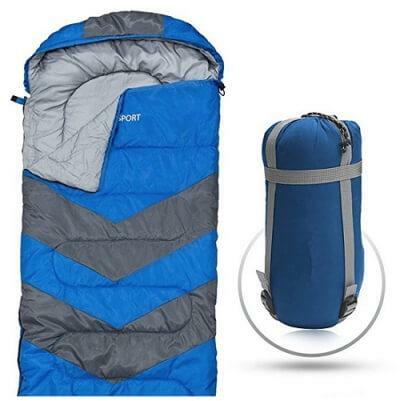 This sleeping bag has won the hearts of those who are taller than the average person; it provides plenty of wiggle room, and has the perfect length. Although it isn’t designed for frigid weather, many consumers have stated they would gladly use their X-Cheng while out hunting and hiking. The light weight material makes it possible to travel with comfort and convenience, and the protective material around the hood will protect you from cold winds. For those who enjoys taking several weeks or months to wander out into the colder parts nature, this is the sleeping bag for you. Created with non-rip nylon material, you can be sure that this product will be durable and long lasting. Thanks to the down, your bag will weigh less than 3 pounds, even in the large size! For this mummy-shaped design, you can expect the dimensions on a regular (sizes come in regular, short, or tall) to be 78in in length, 28in around the shoulders 22in at the hips, and 11in at the feet. Although it is advertised for temperatures of about 15 degrees Fahrenheit, the rating for this sleeping bag is 0 degrees Fahrenheit! The Hyke and Byke Company is exceptional in their desire to go above and beyond for their customers. Hyke and Byke partners with Kiva to donate some of the profit from their sales to providing microloans for their customers and reduce poverty in the world. Not only will you be helping yourself by purchasing one of these excellent sleeping bags, you’ll also be helping the homeless! Created for 3-4 season hiking, the Winner Outfitters Mummy Bag will be the only sleeping bag you need for the entire year. With a waterproof, tear-proof outer lining, this product is durable, heavy duty, and long lasting. This product is machine washable and weighs just under 3 pounds, making it an easy item to carry while you’re trekking through the woods. Inconsistencies with product shipment: no compression sack included, wrong color, etc. 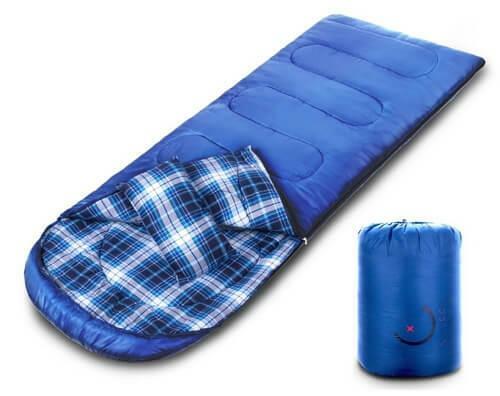 With almost 80% of consumers giving this sleeping bag a 5 star rating, you can be sure that this is still a quality item. However, it may be best to go up one size as several people that have used this product feel that the bag they purchased was just a bit smaller than what they had expected. If you happen to be extra tall and find it difficult to secure a sleeping bag for your size, look no further. With dimensions of 88in by 32in, this mummy bag is perfect for men who need more room to breathe. 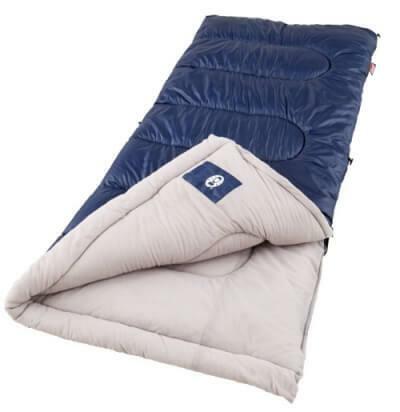 Withstanding up to 32 degrees Fahrenheit, this sleeping bag is suitable for year round weather. The biggest complaint about this product from consumers, was mainly that it is not the “All Season” sleeping bag that they had anticipated. Most product complaints about the zippers also took place in 2017; reviews regarding this matter have improved in 2018. However, this sleeping bag gets an A+ for size! 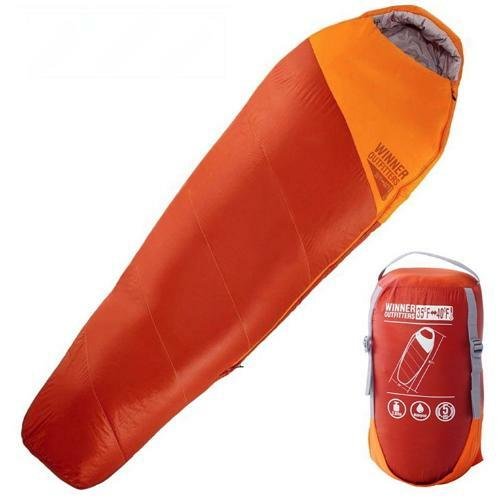 If you’re a little claustrophobic, the Tough Outdoors brand alternatively offers the All Season XL sleeping bags in a rectangle shape. Not only is it excellent for those who have extra height, it’s also great if you’re wide in the hips and shoulders. The dimensions on this product are 88in by 44in. Unlike the mummy bag, you’ll have far more leg room to stretch and move around comfortably throughout the evening. 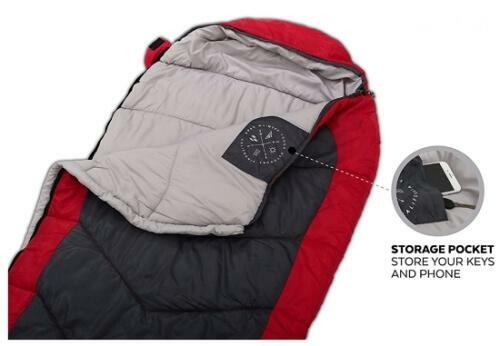 This sleeping bag also unzips at the bottom and opens up to a full queen size blanket! The Tough Outdoors brand has had mostly good feedback as an online retailer and customers approve of their products. There have been complaints of zipper issues in late 2017, but the majority of consumers feel that this product has done its job. Made from 100% polyester material and 100% cotton inner lining, the Coleman Palmetto will keep you toasty in up to 30 degrees Fahrenheit. This item is rectangular with dimensions of 33in by 75in, however the company also offers contour designs and mummy bags. To avoid snags, this sleeping bag has a built in ZipPlow; you shouldn’t have to worry about the zipper coming lose or getting caught. Coleman Palmetto Company attaches Comfort Cuffs to nearly all of their sleeping bags; don’t worry about bringing a pillow with you. The older models for this sleeping bag have been improved, and the 2018 reviews reflect those changes. People were happy with the price, the changes in material, and the improvement of the overall quality. This product is easy to wash and can be air-dried without leaving behind a residual smell. Best of all, it has been put to the test- consumers have reported that this product does work in the rain and keeps out moisture. Like all products, you should approach the purchase of a sleeping bag with the “you get what you pay for” mindset. The less you pay, the less likely you are to obtaining a quality product. When ordering a sleeping bag online, give yourself time to look over your purchase for tears, broken zippers, and any other defects that could be a potential problem. It’s also a good idea to do a trial run and test it out in your backyard or garage before taking it out for camping. Make sure you follow the suggestions above and take as much as time as necessary to search for a bag that will meet your personal needs, and the potential requirements of your environment. Bring extra clothing in the event that you end up hiking sleeping through temperatures that were lower than expected. In situations where a good sleeping bag can mean the difference between living or freezing to death, it is paramount to be prepared.